Five years after the U.S. and its allies invaded in the wake of 9/11, the struggle to create lasting stability in Afghanistan continues. Part of the solution, say American and Afghan officials, is in the creation of locally based security forces. 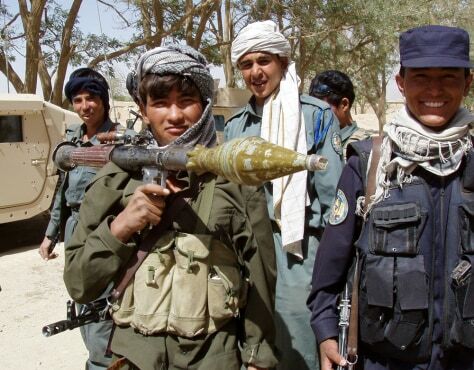 Here, young Afghans who have signed up for the expanding national army and police forces, show off their new uniforms and weapons.